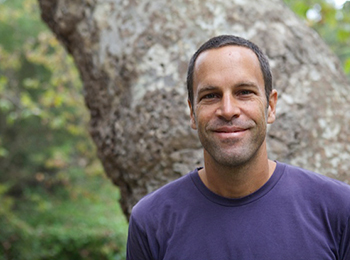 Jack Johnson, a singer-songwriter, multi-instrumentalist, record producer and former professional surfer, grew up surfing and playing guitar on the North Shore of Oahu. He released his first album Brushfire Fairytales in 2001 and has since released six studio albums and two live albums that have sold over 20 million copies worldwide. With his success, Mr. Johnson has always tried to take the spotlight and shine it on issues important to him, including support for sustainable local food systems and ocean stewardship, as well as environmental, art and music education for youth. In 2003, Mr. Johnson released On and On and, with his wife Kim, founded the Kokua Hawai`i Foundation and Kokua Festival to support environmental education in Hawai`i’s schools and communities. In 2008, Mr. Johnson released Sleep Through the Static, recorded in his solar-powered studio, and donated 100% of his tour profits to establish the Johnson Ohana Charitable Foundation, an endowment founded by Jack and Kim Johnson to support environmental, art and music education worldwide. 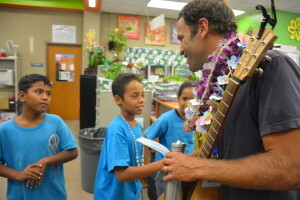 The Johnson Ohana Charitable Foundation continues to build relationships with non-profits offering music and arts education, and supports classrooms across the country through an annual Music & Arts Matching Campaign with DonorsChoose.org. Grants support school or community-based music programs and purchase of musical instruments, as well as a variety of visual and performing arts projects. 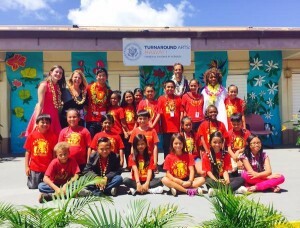 Funding has supported innovative programs including Notes for Notes, the Incredible Children’s Art Network, Hawai`i Arts Alliance, and the Honolulu Theatre for Youth. 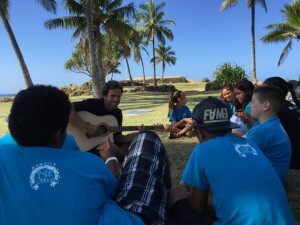 Mr. Johnson will be working with Kamaile Academy Public Charter School and Waianae Elementary School in Waianae, HI.